Coming off of the incredible Ni no Kuni: Wrath of the White Witch, one wouldn’t be blamed for looking at Ni no Kuni II and having some doubts. How could Level-5 capture lightning in a bottle twice? Ni no Kuni was one of the best RPGs in years, and the sequel changes a large number of things. Gone are the familiars so reminiscent of Pokemon, and Evan seems to already be a citizen of this fantastical realm, whereas Oliver came and went between the real world and that of Ni no Kuni. If you get bogged down in those details, however, you’ll end up missing another one of the best RPGs in years. For me, it helped to think of Ni no Kuni as Final Fantasy. It is not a continuation of the previous game, but a whole new adventure with crossover elements and themes that tie the series together. Think about how each new Final Fantasy game changed up the battle system, magic, summons, and other gameplay elements, not to mention setting off on a brand new adventure each time. Ni no Kuni II never gets impeded by the need to stick to a preset formula. By freeing themselves of the shackles found in a traditional sequel, the studio was able to cultivate a game with its own unique standards to bear. Ni no Kuni II: Revenant Kingdom is the story of Evan, the boy king of Ding Dong Dell faced with the death of his father and usurp of his throne all at once. His misfortune is met by Roland, a mysterious stranger from lands unknown who wants to help Evan get back on his feet. At the outset, it might seem like a pretty basic story. From power to nothing, our hero must return to power and defeat his usurper, except the story deviates from this path pretty quickly. Instead of seeking to return to his seat of power in Ding Dong Dell, Evan contents himself with building his own new kingdom with the help of people he meets on his journey. Evan and Roland’s journey unfolds again and again as the story moves forward, not just in narrative, but in game systems as well. This gradual peeling back of the layers in Ni no Kuni II helps just about every aspect of it feel balanced and understandable. I never felt thrown into the deep end of some obscure plot point or overwhelmed by new mechanics that were piled on me. In fact, there are a number of crucial pieces that don’t fall into place until Chapter 4. Three chapters may seem like a long introduction (particularly in a game that’s nine chapters long), but Ni no Kuni II never feels bogged down by things like tutorials or overly long narrative leads. The pacing is near perfect throughout. Chapter 4’s introduction of additional components, both narrative and systems, is just the beginning of something that continues to slowly unfold evermore. The central facet tying together every element of Ni no Kuni II is the kingdom of Evermore. The kingdom builder is a new system, but it isn’t handed to the player until the opening of Chapter 4. Fanning out from the main castle, I was able to build new facilities and assign citizens to them. These facilities allowed me to either gather resources or research new abilities and bonuses. Building my kingdom helped me feel like I never needed to grind. If one part of the game became too difficult, I’d simply move on to something else while continuing to invest in my kingdom. It’s part of that unfolding that Ni no Kuni II does so well. I never felt like I hit a wall, and if I ever did, there was always another path to take. Recruiting citizens to the kingdom of Evermore makes up a large brunt of the side missions. Most are fairly basic, tasking players with simply fetching some items or killing some creatures, but they were always handled in a creative enough way that they didn’t feel inherently like fetch or kill quests. Some require you to read the descriptions of items and give characters the right ones, providing a small puzzle to the fetch quest (none too difficult). 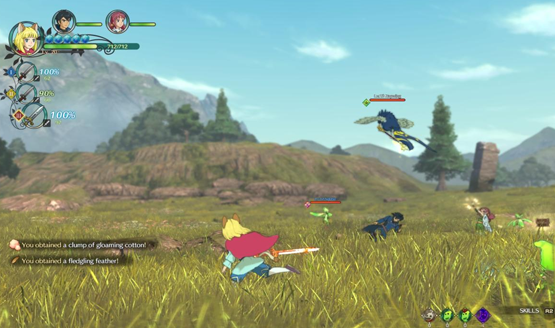 Others tie in to yet more aspects of Ni no Kuni II’s myriad systems, such as the skirmish battles on the overworld. Skirmish battles present a kind of war simulator. Evan leads up to four regiments of troops into combat against similar groupings of enemies, either pressing forward, or holding off waves of foes, depending on the specific mission. 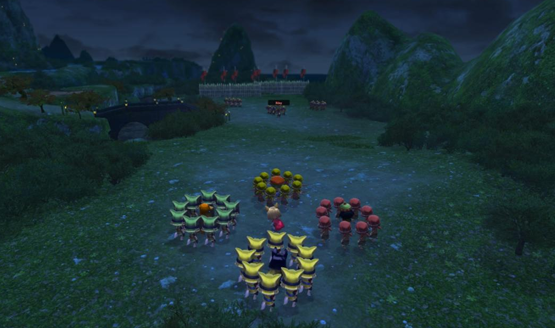 It acts as a kind of real-time strategy game on top of Ni no Kuni II’s overworld map. Earning new citizens will give Evan additional options for troop loadouts. Increasingly difficult skirmishes can challenge the player, but again, are rarely required if you don’t want to take a lot of time with this new system. There was only one moment near the end where I needed to go out of my way to grind a couple optional skirmishes in order to level up and complete a mandatory story skirmish. Jumping over to regular combat to look at yet another piece of Ni no Kuni II, higgledies are small elemental creatures that assist during battles. While not as central to combat as familiars were in the first game, higgledies do offer assistance and bonuses during combat. Occasionally a white ring will appear around them and allow for a special ability. Characters can also charge their magical attacks using higgledies, and the small creatures will occasionally offer healing and other passive bonuses in battle. New ones can be found in Higgledy Stones scattered around the world or cooked up at the Higglery in Evermore. Combat this time around is character focused and entirely action oriented. Each party member is a fighter, and they’ll be going toe-to-toe with enemies directly instead of sending familiars in to fight for them. Battles feel smooth and I welcomed each time I found myself in a bout against new creatures. Ni no Kuni II never got too hard because its combat is so satisfying that I managed to grind out levels and battle during the game. And yet it never actually felt like grinding. On my way from one area to another, I found myself wanting to fight each group of enemies I came across. Fast travel is made extremely easy, yet I often found myself walking just to get in a couple more battles. Dreamer Doors round out Ni no Kuni II’s main feature set, and along with the kingdom builder, show off Level-5’s history with the Dark Cloud series. These dungeons are randomized mazes that get progressively more difficult. Players can opt to spend orbs they find to unlock chests or lower the difficulty, as well as leaving at any time before moving on the the next floor. They aren’t required, but can offer some pretty high-level gear. Once again, diving into the kingdom builder can provide some bonuses to make Dreamer Mazes easier and more rewarding to tackle. I’m still not quite sure how Level-5 managed to balance the player’s freedom to take however much or little they want to from each gameplay system. Higgledies, for example, didn’t quite scratch the itch for familiars that I was looking for. I didn’t really dive into their creation or cultivation until late in the game, and I was never worse for the wear. Ni no Kuni II let me play how I wanted to, and if that process didn’t include devoting much time to higgledies, then so be it. Once I did start delving into that feature, I was rewarded, but it never felt required to move forward. Each of the game’s major systems take the same tack—avoiding them isn’t harmful to the experience. Forget skirmishes if they aren’t your thing. Do the bare minimum in your kingdom building if you so choose. But investing yourself into each of them will feel rewarding and worthwhile if you choose to do so. Evan’s journey will get the player’s feet wet in just about everything, and then I was free to decide what I did or didn’t want to take on. Building up my kingdom of Evermore became a particular obsession of mine. I found myself constantly fast traveling back to manage my coffers and the development of new things. I scoured the world for new talented citizens to bring into my orbit. And, as with everything else in the game, the more I invested into the kingdom builder, the more it unfolded. The borders expanded and the possibilities seemed endless. It would seem a shame to waste time gallivanting about the world without pouring resources into additional skills and bonuses, so I poured my time in there. While not associated directly with Studio Ghibli this go around, there’s still some Ghibli prestige within the walls of this kingdom, and the influence really shows. It’s easy to say that Ni no Kuni II is one of the most visually stunning games of this generation. Trailers and gameplay alone can tell you that, but playing the game really highlights just how Ghibli inspired everything is. Not only is the aesthetic makeup of Ni no Kuni II clear Ghibli, but the music and story have obvious roots in the light-hearted, yet often serious Ghibli productions. The beautiful music is also a major connecting point back to the first game. Audio cues from Wrath of the White Witch make their way into Ni no Kuni II with whole new overtures that make them feel more evolved than recycled. Any good kingdom is never without its rough spots. When I finally got access to sea and air travel, I began exploring the world’s hidden nooks and crannies to find small caves, forests, and other dungeons on the fringes. Where the main game never felt dull or repetitive, many of these side caves and forests I came across were built using the same few building blocks and repetitive elements. Similar pathways and end rooms met me in almost each and every one. The first few times I had to double check to make sure I wasn’t back in an area I had explored before. It’s not a major downside, but it did make world exploration outside of assigned side quests a pointedly dull affair. I also encountered some frame rate chop, most notably when swinging the camera around in visually busy areas. It’s not gameplay breaking and never impedes things like combat, but it can occasionally make traversal nauseating. 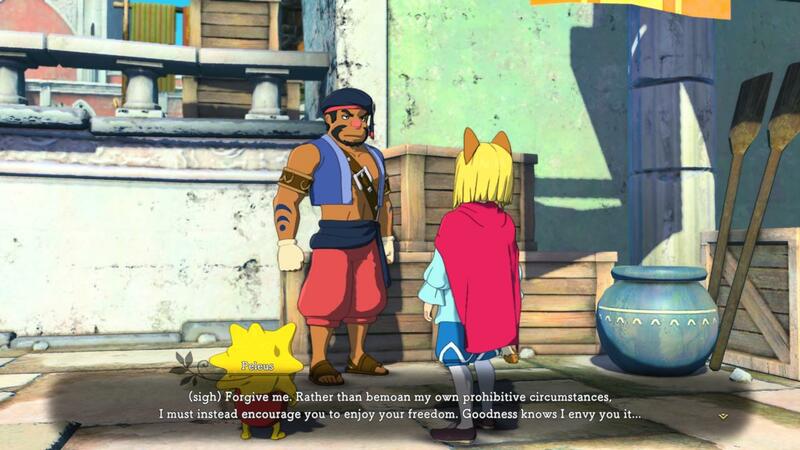 Ni no Kuni II: Revenant Kingdom review code provided by the publisher. 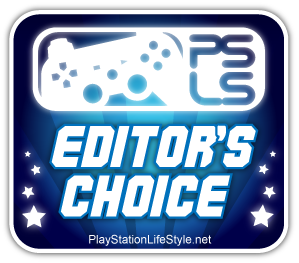 Version 1.01 reviewed on a standard PS4. For more information on scoring, please read our Review Policy.